So far this preseason, the Leafs are 3-3, good enough for fifth best in the Eastern Conference. Although this is a little disingenuous as they have played more games than anyone, except for Montreal and Ottawa, who have a combined three wins between them. But, really, it doesn't matter at all. Tons of people get so worked up over the preseason and how well their team is doing when it doesn't matter. These games are pretty pointless. Some people would agree, but argue that individual efforts are worth considering. 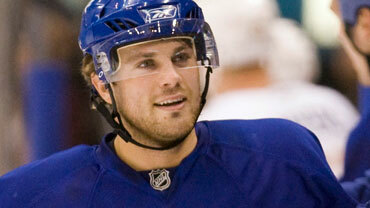 All I have to say to that is Viktor Stalberg! Viktor. Stalberg. My latest post for The Good Point examines just how pointless these September games are, for both individuals and teams. The take home message: relax, there's plenty of time for you to push the panic button during the first week of the regular season, you don't have to get worried before the season actually begins.